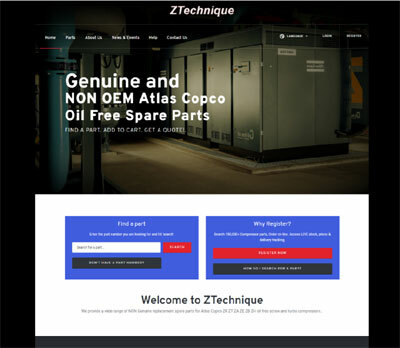 We provide a wide range of NON Genuine replacement spare parts for Atlas Copco ZR ZT ZA ZE ZB ZH oil free screw and turbo compressors..
to name just a few of the thousands of spare parts available to our global customers..
Our NEW www.ztechnique.co.uk spare parts portal for seqarch and make an order request is now open for business.. 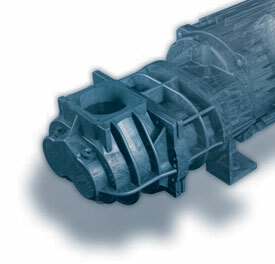 It features on line search and order capabilities for over 18,000 spare parts from multiple compressor manufacturers. 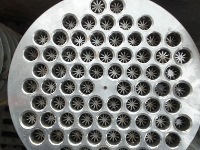 With CAPS recently announcing its closure we want to let CAPS customers know we can support multi brands of compressed air equipment from KAESER, Ingersoll Rand, Atlas Copco, BOGE, Almig, FS Elliott, Donaldson, Sullair, etc. 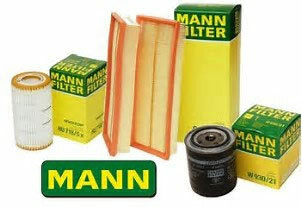 When is a filter GENUINE when its MANN that's when. 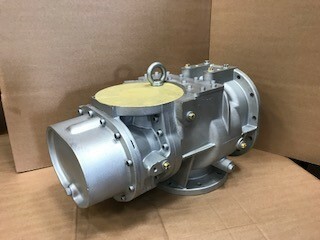 Don't be fooled with compressor manufactures stating they are the 'filter' manufacturer most manufacturers re brand and increase the price by huge margins to you the customer in a different packaged format. 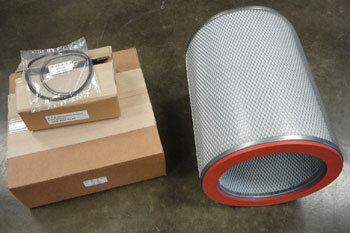 We sell MANN filters that will fit most Atlas Copco G and Z compressors. 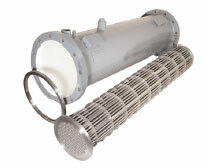 If you send us your serial number and model number we can easily identify your correct alternative air or oil filter for your Atlas Copco equipment. 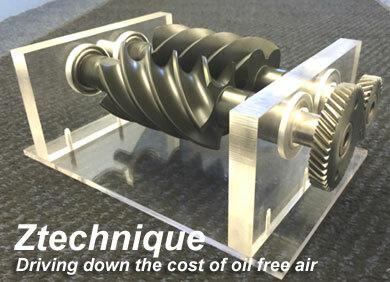 Ztechnique NON OEM Elements for Atlas Copco 'Z' compressors from Mark Whalley on Vimeo. 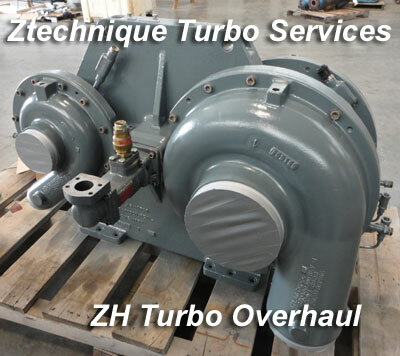 Our expanding Turbo services division for Atlas Copco ZH compressor overhauls enables your business to have the confidence to send in your parts or overhaul request to Ztechnique..
We offer quality replacement parts and unsurpassed service for your Centrifugal Air Compressors. 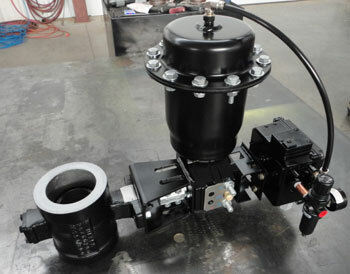 Minimizing your downtime is important to us because we know it is vital to your operation. 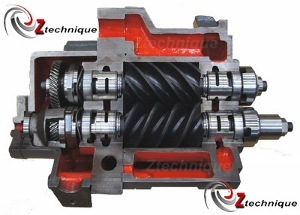 Ztechnique also provides complete overhauls onsite or in-house, remanufactured compressors and solutions to any control needs you may have, including new controls, retrofits or support for your existing controls. 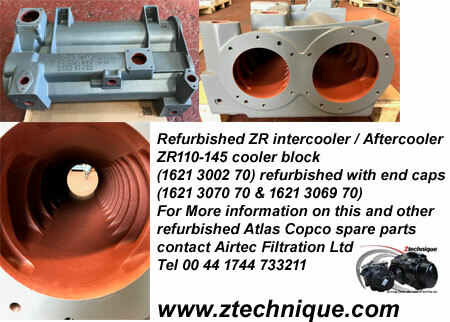 We have replacement coolers NON OEM high quality components or you can send your coolers sets to us for cleaning and pressure test. 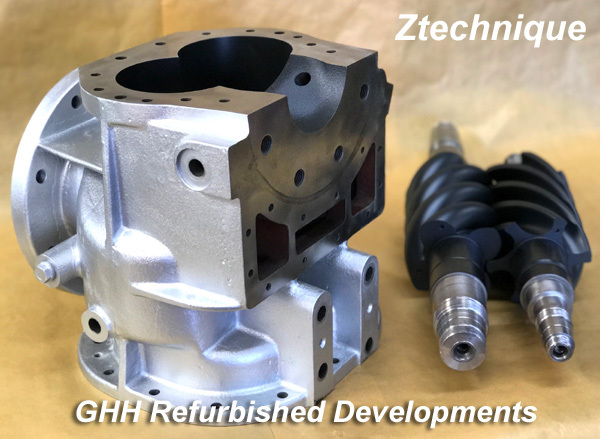 Ztechnique are able to supply refurbished GHH oil free elements from May 2017. 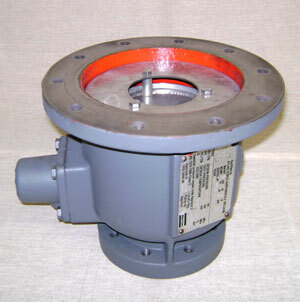 This service provides our customers with a complete service exchange fully tested air end. 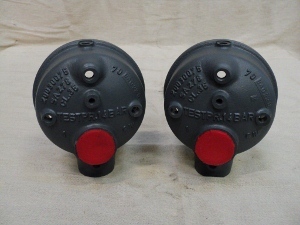 We normally have a selection of tested GHH air ends in stock. 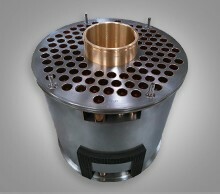 Please call for more details on our range of GHH air ends off the shelf. 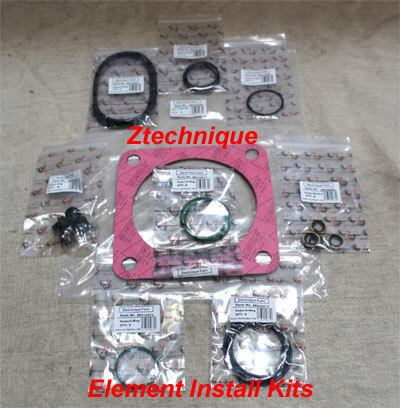 Generating huge interest was our new Ztechnique elements and service kits that could can save thousands of pounds for oil free users compared to OEM prices. 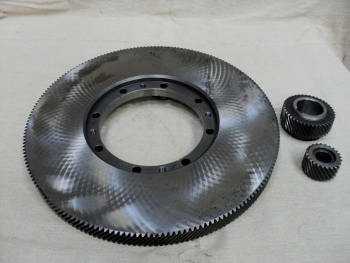 We have recently put together a number of sales tools for our distributors to include demonstration rotor sets as shown here and a cut away stage 1 element along with a 4 piece cut away casting of our stage 1 design that will feature in our next product video. 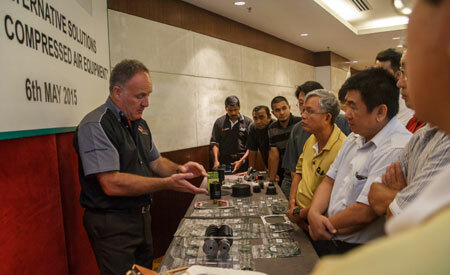 Our worldwide distributors suggested that come customers like to examine the spare parts first hand and we agree..
Ztechnique have prepared castings as shown here to show potential customers and distributors the design of our Ztechnique elements and rotors. 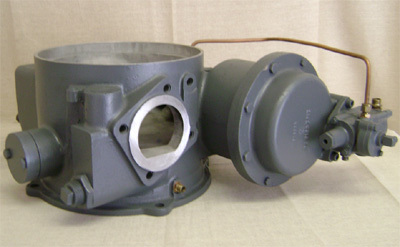 We have rotor sets and castings opened as shown here as distributor tools and can be purchased from our office. Here is an exploded view of our all new Ztechnique stage 2 element in detail. Demand for our NEW ' No Donor' Ztechnique elements has increased since our product launch and has persuaded our management to increase numbers of stage 2/4 in stock from April 2014. 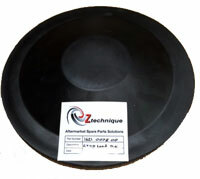 Simply email us now to request a PDF copy of our Ztechnique.com catalogue of key spare parts. 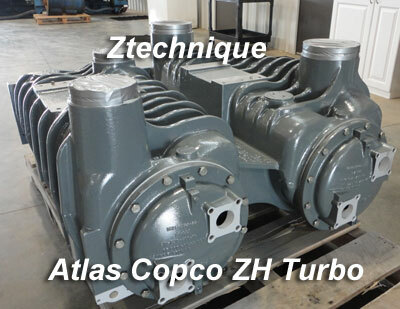 Our parts list only covers top selling items for access to our ztechnique.com web site yopu must tell us about your business and experience with Atlas Copco ZR ZT ZA ZE MD equipment as warranty is dependant on product knowledge and skills of the purchasing company. 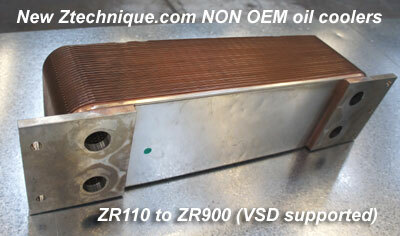 We now offer a NON OEM solution to the manufacturers oil cooler. 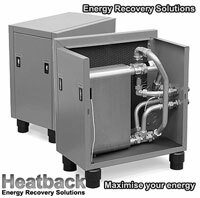 Actual picture of type of cooler supplied 50% less than OEM but retrofit without any need to adapt the compressor. 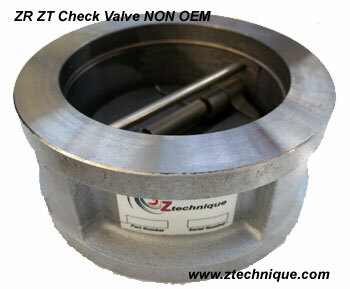 Our latest product the complete range of check valves for the Atlas Copco range of ZA ZT ZE ZR compressors at 50% less than OEM prices but superb quality. 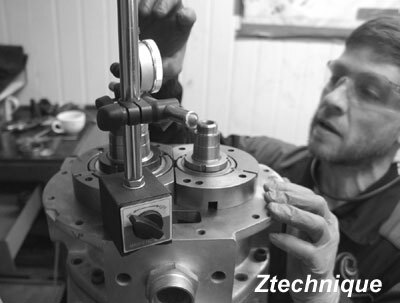 Experience is critical if you are to embark on 'Z' service on Atlas Copco Oil Free ZR ZA ZT etc equipment. 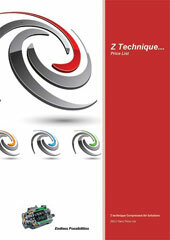 Z Technique will provide your company with Z and MD training to enable you to succeed in the marketplace. 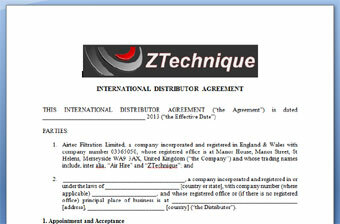 Our soon to be available (2012) licenced dealer package will enable you to get special prices from our company. If your interested in talking with us about the future call us now on 0044 1744 733211 and we can show you the 'endless possibilities' for success in Z oil free service. 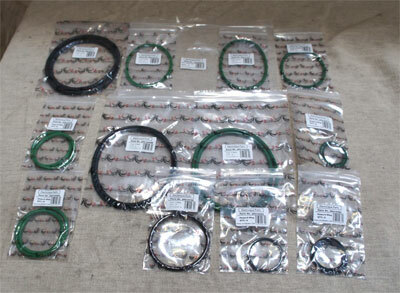 Our business has over 8,000 spare parts waiting for your orders. 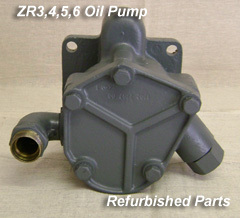 The massive savings that refurbished spare parts can offer your company or dealership has to be seen to be believed. 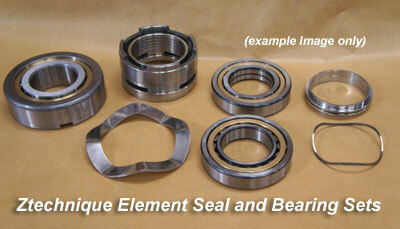 We are unique in this market offering 'as new' warranty's on many spare parts. 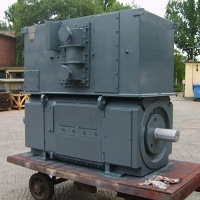 Providing us with the machine model, serial number and year of manufacture is often sufficient to provide you with a quotation. 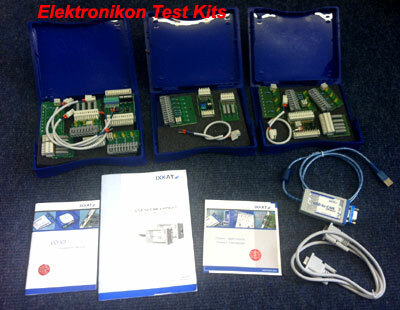 If you have a part number then the process is even quicker. 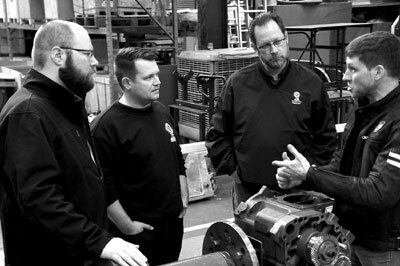 Our trained Ex Atlas Copco personnel on the other end of the PC and Telephone can help you source the parts quickly and efficiently now. 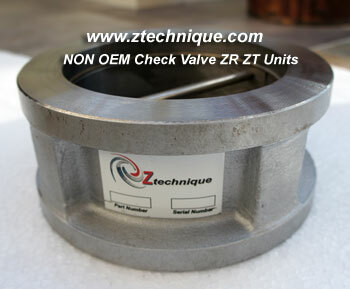 Just like these excellent condition ZR ZA gear sets. 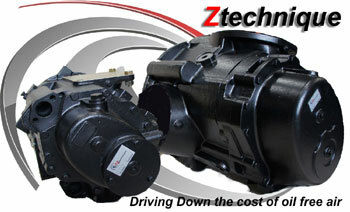 You will find massive savings using a pre-owned STAR part from Ztechnique and we guarrantee every part sold. Image does not represent the exact cooler offered above.